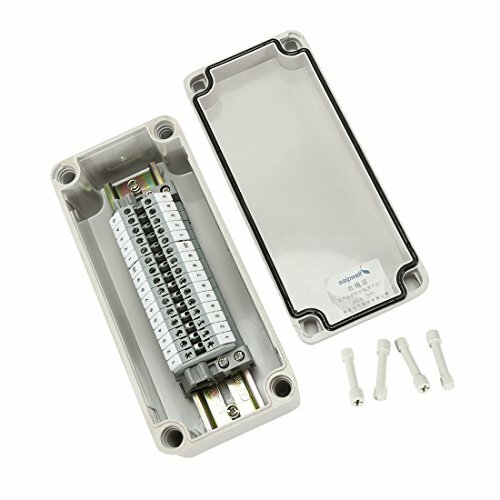 * junction box means these are well protected from rain and water splash back,making them perfect for joining wires inside. * Easy to install and easy to use. connector box is mainly suitable for indoor and outdoor electrical, communications, fire equipment, steel smelting, oil chemical industry, electronics, electric power, railway, construction site, mining, quarry, airport, hotel, ships, large factories,terminal equipment, sewage discharge waste water treatment, environmental hazards, etc.